Perennial plants refer to those plants which you need to plant once and can harvest for several years. Plants such as Asparagus, Banana, and Artichokes are few of the examples of these wide ranges of plants. In this article, we will try to bring out reasons why a Gardener should be thinking about planting more and more perennials in his/her garden. So let’s look at some of the inherent advantages of growing perennials. Low maintenance: In contrast with the annual vegetables, once a perennial vegetable got established in your garden i.e. if the weather and soil suit its requirements, there is hardly anything you need to do. They are much more resistant to pests and other diseases and are much more self-sufficient in terms of watering and also in weed protection. Great for improving soil quality: As they live for many more years than the annual vegetables, they tend to improve the quality of the soil by providing organic materials (decomposed roots and leaves) over the time period. It is generally found that the soil nearby to the perennial plant is much more fertile in comparison with the annuals. Prevents soil erosion: Tillage is one of the main causes of soil erosion. Loose soil erodes very quickly by wind, rain etc. Tillage also harms and kills many beneficial worms in your garden soil. Once you shifted from annual to perennial vegetables you don’t need to till the soil every year. Helps in maintaining a proper balance of the Ecosystem: Perennial plants generally provide a natural habitat for a wide variety of animals. Many of them are essential to your gardening success. Perennial trees make an area much cooler by providing shade and releasing moisture into the air. A large set of these types of trees can change the climate of your area locally. A far longer harvesting season: In most of the cases, a perennial plant will offer you vegetables more times a year than your annual vegetable. When it coupled with a long-lasting lifespan, its benefits doubles. It provides food during the time of the year when there is very little to get from any of the annuals. Miscellaneous Benefits: Some of the perennial plants are ornamental. They will provide attractive landscapes with edibility features. Some of them are nitrogen fixative in nature which will not only help them to generate their own fertilizer but also help other plants in the garden. Sometimes the low maintenance features of these plants can create weed problem due to their intensive growth. Some of the perennial plants have a very strong flavor compared to their annual counterpart which made people avoid them. Vegetables like Asparagus are very slow to grow and only after some years, you will notice a good yield. Having said that, you need to remember, perennial vegetables are not meant to replace annual vegetables. The best way to use perennials is to complement your annual vegetables. An optimum mix of perennials and annuals will give you an uninterrupted supply of foods and vegetables throughout your lifetime. Selecting a site for perennial plants is no different than that of annuals. Things such as a good quality soil, well drainage and availability of sunlight are very important for the survival of perennials. A proper site location is actually more important for perennials than that of annuals; because perennial plants stay in one place for years to come. So give them the most favorable condition as possible. It is always better to plant perennials against some kind of walls so that they will stand out when in full bloom. You should never ignore the soil quality in case of growing perennials. Unlike annuals, they will take nutrition from the soil for many years. First thing, get your soil tested by some expert. Before doing anything with the soil, you need to know its present condition. Once you know its pH level and other nitty-gritty you will be in a better condition to amend the soil. Before choosing any plant for your garden, give a thought to your needs and likings. Are you planning for low-growing edging plants or evergreens? Is it rock garden specimen or some splashes of colors? Now, once you are sure about your needs half of the job is done. Once you are sure about the varieties select your favorite plants. It is best to consider flowering seasons of the plants. They can vary from 6 months to one year. Get information about your selected plants. Is it a fall-flowering or spring-flowering plant. Generally, you should plant fall-flowering perennials in the spring and spring-flowering perennials in late summer. But don’t get too fussy about this. Whenever you plant your perennials they need time to adjust to the environment before start blooming. though perennial plants are famous for taking care of themselves, you need to give them proper watering. Don’t just depend on monsoon rains. Rather make it a habit to irrigate them regularly. It is important to water the bed evenly. Too much water and your beds will be soggy which in turn will kill the plant. Rather than using a hand-held nozzle use soaker hose to water the bed. Mulch is great for protecting your plants from weeds and keeping the soil temperature high during cold winters. Mulch will also reduce the need for frequent watering. You can apply organic mulches such as shredded leaves, pine needles, etc or inorganic mulches such as plastic films or papers. Mulching is more or less the best possible solution to the weed problem. If you still see weeds little bit of hand weeding will solve the problem. You need to fertilize the soil. Perennial plants take away the nutrients pretty fast. So you have to replenish it continuously. Always add water after applying fertilizers. This will prevent any kind of burn and make it available immediately to the plants. 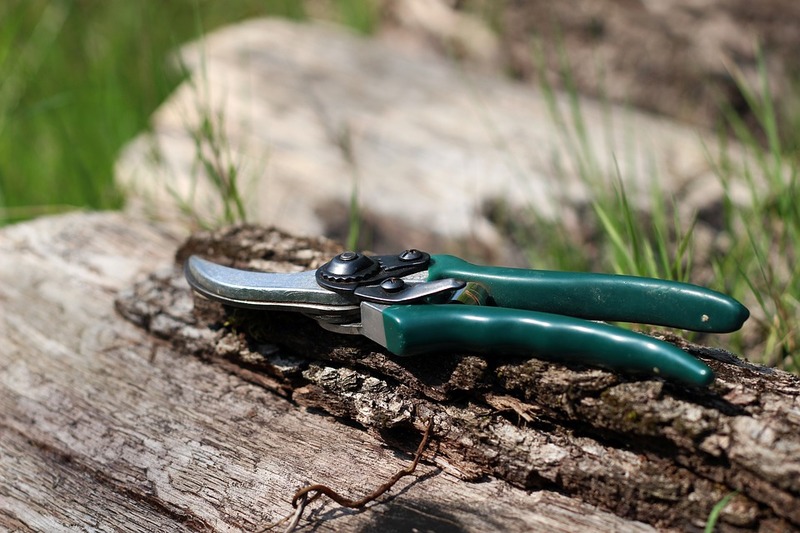 To make your garden aesthetically good you need to do a little bit of pruning from time to time. If your plant is getting many smaller blooms it is wise to remove some of the buds. This will force the plants to concentrate on a few of the blooms and it will make them larger in size. This process is also called disbudding. Disbudding is one of the essential steps for plants such as chrysanthemum and peonies. After the bloom is over you also need to remove the spent flowers. Perennials such as delphiniums are a great example where you can use this method to get it reblossom. Perennials are generally healthy plants and devoid of pest attacks. Having said that, it is always advisable to go for the resistant varieties. Give them proper healthy growing conditions. Good amount of sunlight nutritious soil, good airflow and you should not have any major problem. If you are growing perennials for over 3 years chances are they got overpopulated and too dense. One of the worst impacts of this is your soil nutrients will deplete very fast and it might also impact other plants of your garden. This is why you need to propagate your perennials at regular intervals. The best time for propagation would be when the perennials are in the dormant state. Divide the clamps into parts and plant them in some other part of your garden. If you have any extra plants give them to friends, neighbors etc. Did you like the article? Share your views with us. If you think this will help somebody; please feel free to share. I’ve been growing ornamental perennials for well over 20 years and I’m glad to see them mentioned. Your points about getting a soil test, working with the soil, and mulching are excellent. I start with a high-organic content soil and also top-dress them every 3 or 4 years. Thanks for a good read!